Solar flare activity has been peaceful for a while. A new sunspot – AR1564 is flexing some muscle. By tomorrow it will be facing Earth, with a warning for strong M-Class solar flares. 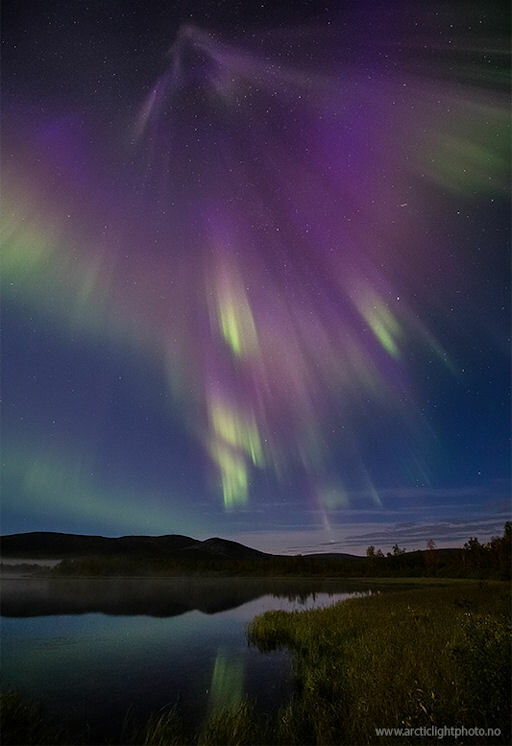 At least it should get the Aurora season off to a colourful start. Current predictions are at a 40% chance in the next 24 hours. As always, here’s a link to spaceweather.com. It was a Swedish company that invented plastic bags in the 1960s. In 1976 Exxon Mobil brought them to the United States for use in grocery stores. Today over 100 billion plastic bags are manufactured each year. That’s 500 for every man, woman, and child on the planet. Every minute we use 1 million bags. Bangladesh was the first country to ban them after a massive flood; caused by bags clogging the storm drains. Prior to the Olympics China enforced rules on their use trying to eliminate “white pollution”. In its first year this program cut plastic bag use by two thirds, and saved 11.7 million barrels of oil. In America some cities such as San Fransisco have banned their use. In general the environmental movement has been able to start educating people on the peril of plastic. What has now been dubbed “Big Plastic” isn’t going down without a fight. They pay millions to powerful lobbyists to keep the profits coming.